SINGAPORE, 15 January 2019 – Canon’s latest PIXMA printer TS707 is a dedicated print workhorse, with an incredibly compact size disguising a high-powered print engine. It is designed to jumpstart small office productivity with full network connectivity, automatic two-sided printing and paper feeding capacity of up to 350 sheets. With a footprint that is 20% smaller than its predecessor, the PIXMA TS707 is a compact printer that delivers on performance. A two-line LCD display on the front panel displays ink level information and signal strength, and assists in standalone wireless setup without the need to use mobile apps or desktop software. The printer powers through monochrome document printing at up to 15 images per minute (ipm), and 10 ipm for colour. Businesses requiring higher volume printing at lower costs can also deploy XL-sized ink cartridges that deliver high yields of up to 800 pages for full-colour documents. With five individual ink cartridges, including a pigment black ink cartridge dedicated to producing high intensity and crisp black text, the PIXMA TS707 excels in printing on a wide variety of media substrates. Colours are vivid and vibrant, due to the dye ink components. The individual ink cartridge design also ensures that users replace only colours that have been depleted, allowing them to manage ink consumable replacements effectively. The PIXMA TS707 supports Wired LAN and Wireless LAN, making it suitable for a wide variety of office IT infrastructure. 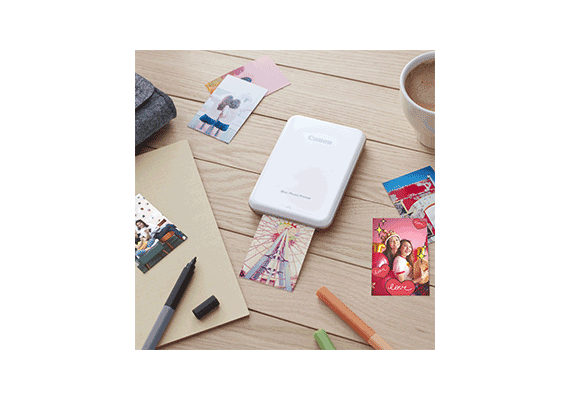 The printer also supports Wireless Direct, allowing direct communication and printing from smartphones without the need for a wireless router. With the Easy-PhotoPrint Editor (EPP Editor) app available on Windows and Mac OS, as well as iOS and Android devices, users can easily create custom photo layouts, calendars, postcards and colourful fridge magnets. With the help of the new Nail Sticker Creator app2, beautiful nail art is possible in the comfort of your home. Users can create their own designs to match their personal style, dressing, or event of the day with ease. For a dose of augmented reality (AR), the Message in Print app for iOS and Android mobile devices allows the embedding of secret messages, animations, music and video links in printed photos – easily unlocked by scanning the printed photos under the built-in camera of smartphones. The PIXMA TS707 will be available from 18 January 2019 at all authorised Canon dealers at the recommended retail price of $179. ​Canon is a global leader in photographic and digital imaging solutions. Canon Singapore Pte. Ltd. is the headquarters for South & Southeast Asia driving sales, marketing and service strategies. Besides handling the domestic market, the company covers 22 other regions including subsidiaries in India, Malaysia, Thailand and Vietnam. The parent company Canon Inc. has a global network of more than 300 companies and employs close to 200,000 people worldwide. It is dedicated to the advancement in technology and innovation and commits more than 8% of its total revenue each year to R&D. Canon is consistently one of the top few companies to earn the most number of patents over the last 20 years. As a Fortune Global 500 company, Canon is guided by its kyosei philosophy that focuses on living and working together for the common good. More information is available at https://sg.canon. 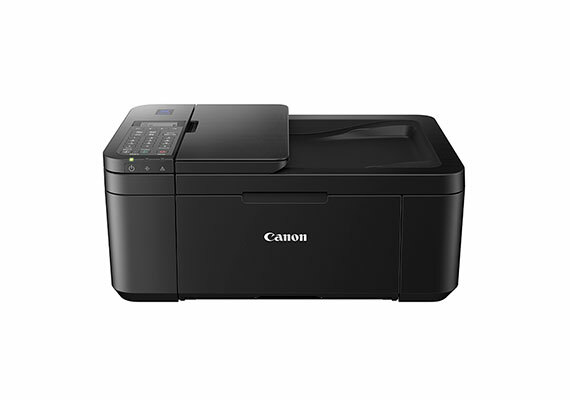 1 Wireless printing requires a working network with wireless 802.11 b/g/n capability. 2 The Canon Nail Sticker Creator app is free for download on the Apple App Store and Google Play Store and is compatible with Android 5.1 and later, iOS 10 and later.